This page contains pictures and information about Yellowish-brown March Flies that we found in the Brisbane area, Queensland, Australia. 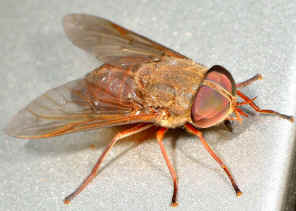 This is a medium-sized March Fly with greyish brown scutum and yellowish brown abdomen. it has the conspicuous shiny black callus on narrower frons. Eyes are reddish brown in colour with green reflection, bare without hairs. Thorax is almost uniformly greyish brown without well defined pattern. Legs are bright brown with all tarsi in darker colour. 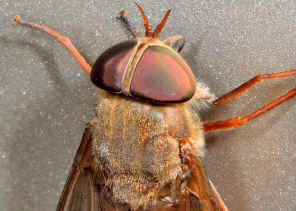 Wings are conspicuously suffused with yellowish brown along all veins. 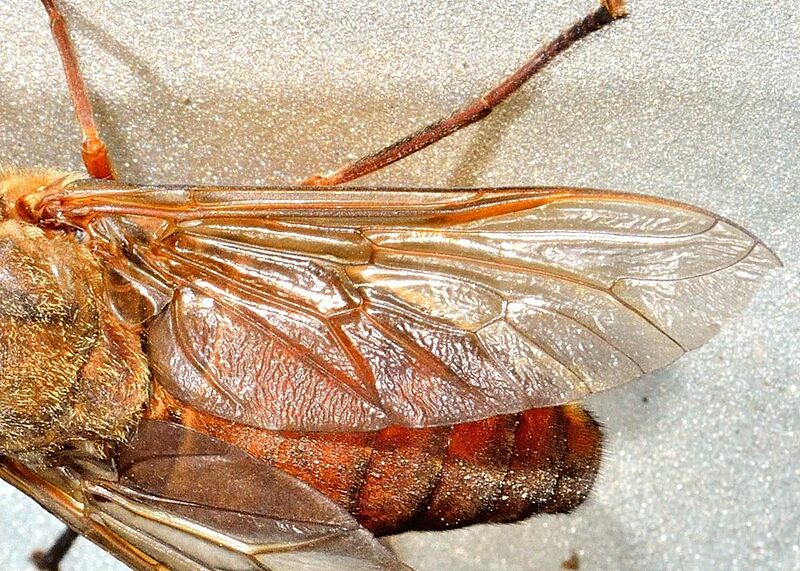 Abdomen is more or less uniformly yellowish brown and darkening apically. This is a common species in Brisbane. 1. Tabanidae March Flies, Horse Flies - Graeme's Insects of Townsville, Australia. 2. 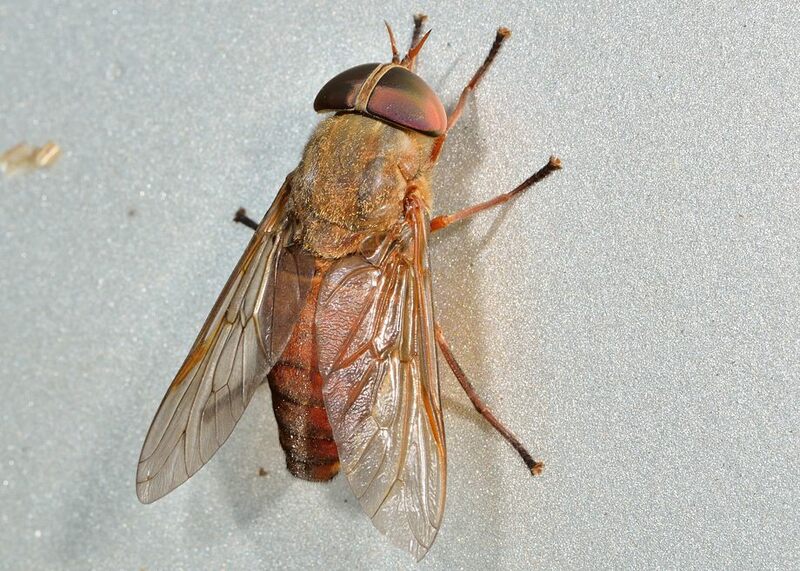 Revision of the horse fly genera Lissimas and Cydistomyia (Diptera: Tabanidae: Diachlorini) of Australia - Mackerras, I.M., Spratt, D.M. & Yeates, D.K. 2008, Zootaxa 1886: 1-80. Last updated: February 25, 2013.